Savings accounts: everyone should have at least one, but when your local bank is offering to pay you interest at dismal rates as low as 0.01%, saving can be downright discouraging. Thankfully, in the internet age we live in, savers are no longer limited to opening a passbook account at the corner bank: online options for high yield savings accounts abound. 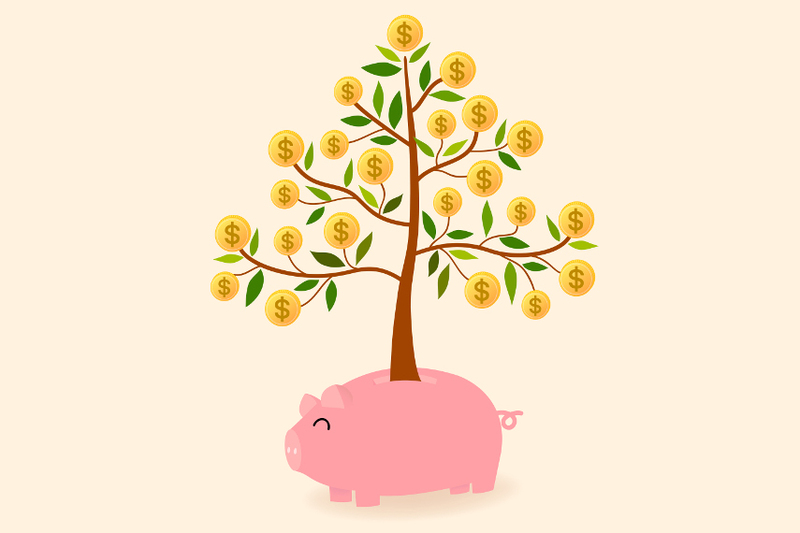 High yield savings accounts can be a great way to help you save money while still ensuring you have easy access to it. You have 24/7 access to your account online, and your existing checking and savings accounts can be linked to your online high yield savings account, making transfers between accounts seamless. APY: 1.17% with minimum $100.00 deposit. Monthly fees: $7.50 if $100.00 minimum balance is not met and account has had no activity in 6 months. 9. My Savings Direct (through Emigrant Bank). Keep in mind that APYs are not guaranteed and are subject to change over time. Online banks can offer higher interest rates because most of them do not have to have brick and mortar locations, with all of the expenses that come with physical space and a network of branches. Their overhead is significantly lower, so they pass the savings on to consumers in the form of higher APY rates and other benefits. Know that, whether your savings account is at a brick and mortar bank or in an online account, you are still limited by federal regulations to no more than six free outgoing transfers from the account every month. This is because banks treat checking account and savings accounts differently for purposes of calculating the reserves they are required to maintain by law for checking or other transaction accounts. If a customer were to start treating their savings account like a de facto checking account, the bank’s calculations would be off, potentially putting them out of compliance with Regulation D.
Savings account deposits with each of the online banks referenced in this article are covered by the same FDIC insurance offered by your local hometown bank. Generally, FDIC insurance automatically covers up to $250,000 per depositor, per insured bank. This means, if a covered bank or savings association fails, you are protected by the U.S. government up to the coverage limit. This post highlighted several online savings accounts, but keep in mind that there are many other regional and more obscure online banks that also offer great high yield savings account options. It is also important to remember that online savings accounts are not the only option for building your savings, and you may wish to explore options for money market accounts or CDs for higher interest rates. Some local credit unions also offer competitive interest rates for savings accounts. Compare your options, find the best savings vehicle for you, and start saving today!